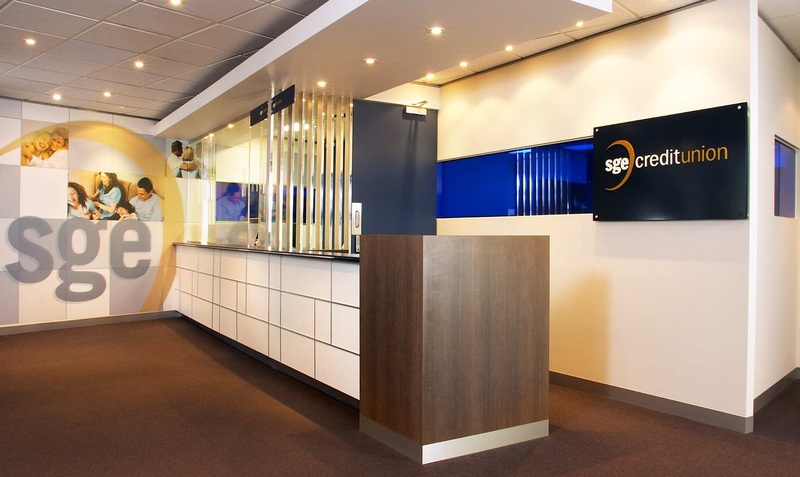 SGE is one of the largest + most successful Credit Unions in Australia + has been operating since 1959. 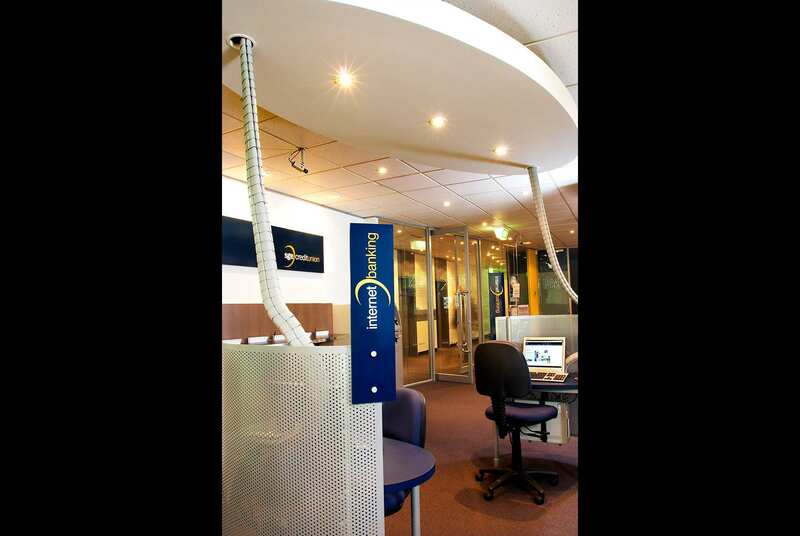 Located in a commercial office building in the CBD of Melbourne they serviced many employees that frequented their offices. IN2 SPACE was commissioned to create an inviting + professional face for the business, coupled with a functional streaming of the business operations. The business has been established for many years and was located in a dated looking building and office space + was needing to move to a new location to establish a more modern and forward projecting image to their clientele + staff alike. Their current office layout was not ideal and they were looking at achieving greater efficiency through design + implementation. IN2 SPACE provided a complete end to end service; Designing, Documenting, Project Managing and constructing all works for the completion of the commercial office space. 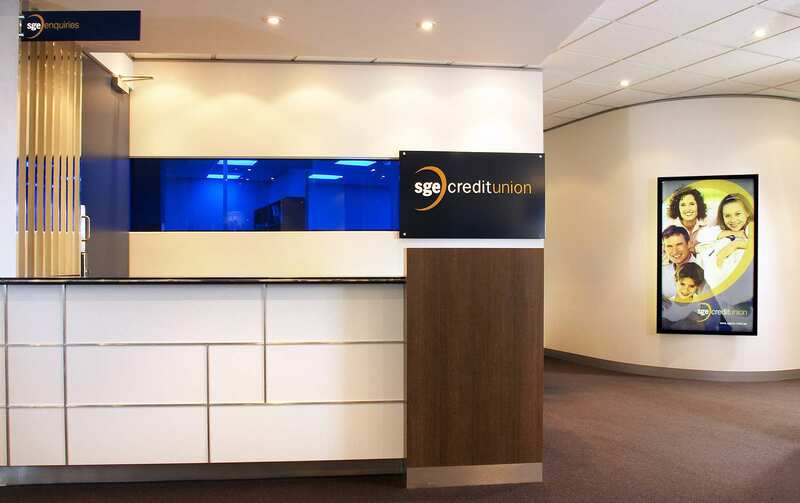 IN2 SPACE were chosen as the preferred Commercial interior designers in Melbourne as our track record in undertaking this type of project was very well established within the financial sector. 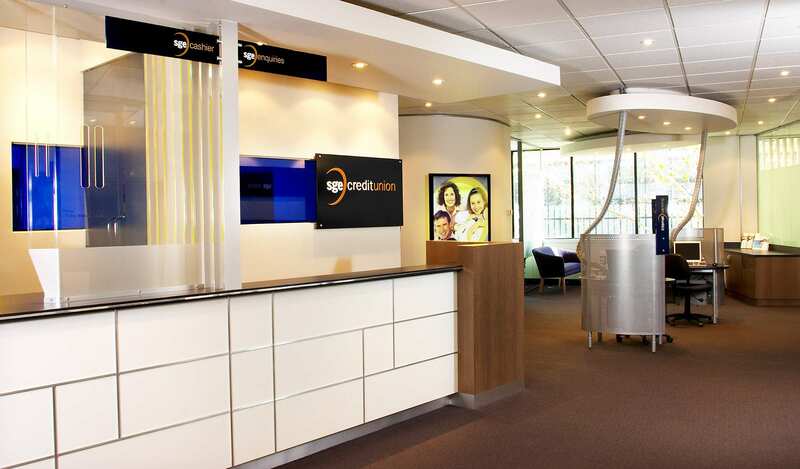 The Credit Union's customer space that was created consisted of a banking desk, reception counter, DIY internet banking pods, a casual coffee lounge + meeting spaces. 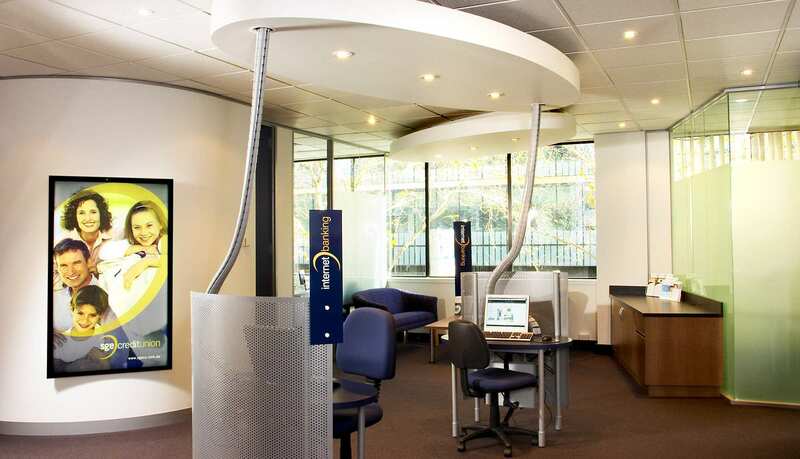 These areas allowed clientele to experience a one stop banking experience in a space that was close to where they worked + was capable of supporting all their banking requirements. 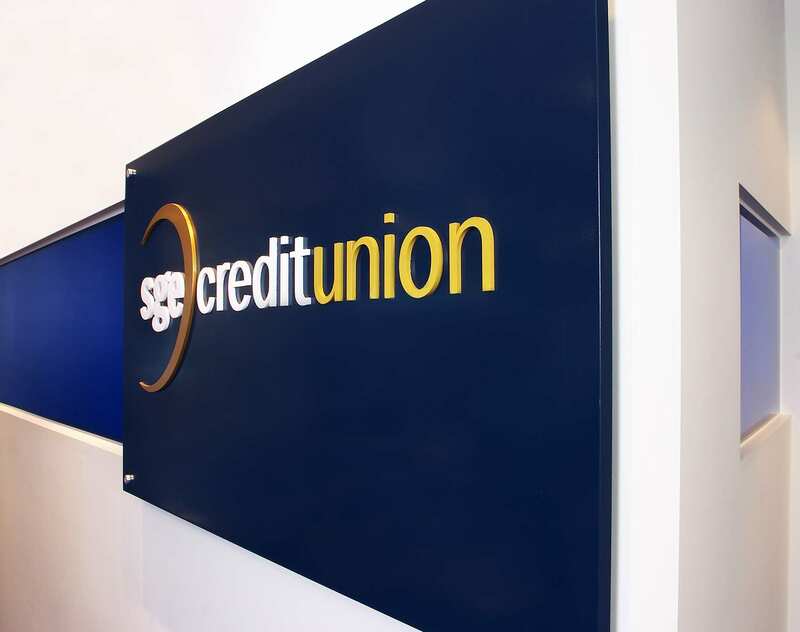 The business's image was reinforced using large graphic imagery, colours + finishes that echoed the brand. The office area was totally fitted out to enable a back of house operation that was efficient, apportioned well + access secured in order to meet all the stringent requirements imposed by the governing bodies. The new space's appearance had transformed the tired looking 1970's brand into a contemporary, modern + forward focusing business. The main stake holders + all staff were delighted with the outcome of the project. 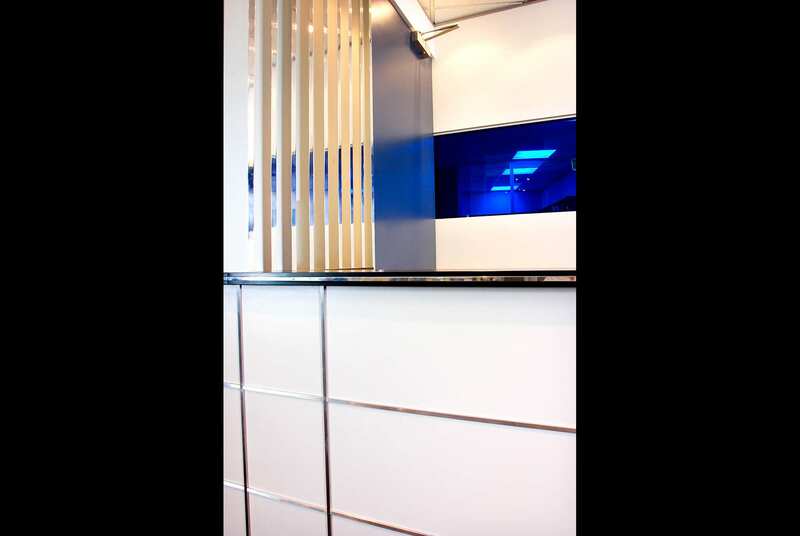 Here is another commercial interior design idea for the finance and insurance industry.